Welcome to the website for the D&G HandyVan (SCIO) service. Our mission is to provide safety and security services for the inhabitants of Dumfries & Galloway in need by reason of age, disablement, social or economic circumstances to remain as independent and physically active as they can be, residing in their own home for as long as they wish. D&G HandyVan became a Scottish Charitable Incorporated Organisation (SCIO) in April 2013 and is based at 72-74 High Street, Lockerbie. It serves the whole of the Dumfries & Galloway region in south-west Scotland. 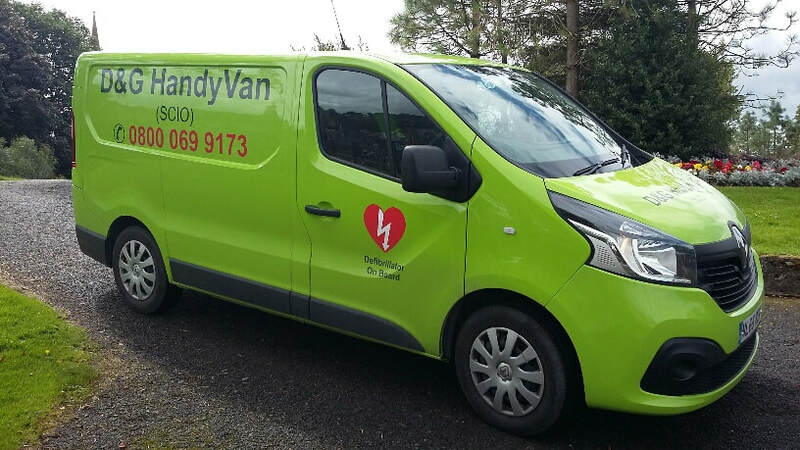 D&G HandyVan (SCIO) is managed by a Board of Directors and a small but committed staff.